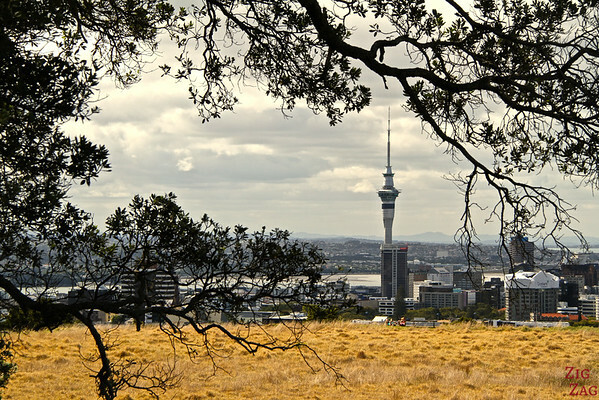 The Auckland Skyline is very distinctive and during my weekend there, I wanted to capture it from various angle. 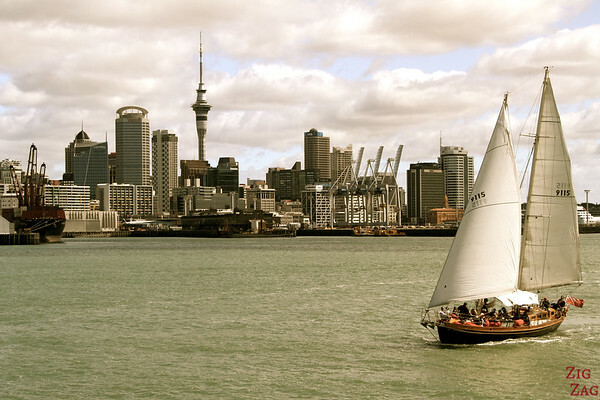 I enjoyed a harbor cruise and the crater of Mount Eden to photography the views of the city of sails! As you know I am not a big fan of cities, I much prefer spending my time in nature. So when I do have time in a big city with no other plans to get out, I try to get the best views of the skyline. 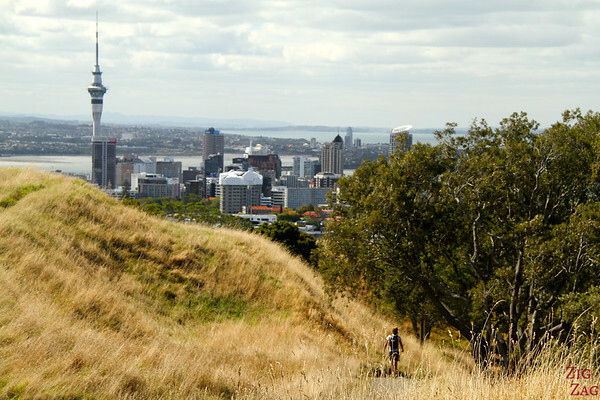 Most people would go to the top of the Auckland tower but I wanted to see it in my views so I opted for a cruise in the harbor and a climb up Mount Eden. A nice day out and few great shots! 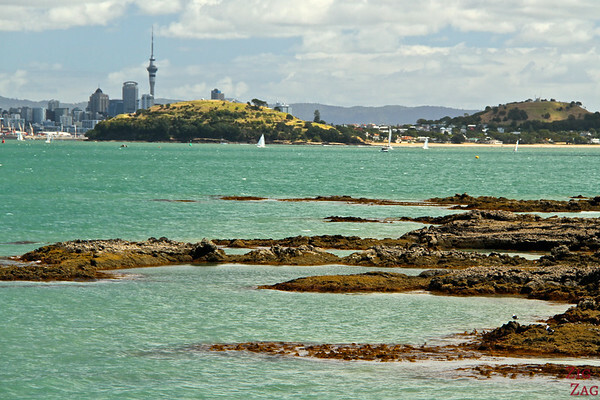 Several companies offer tours in the bay of Auckland. I went with Fullers. I have nothing particular to day. It was a classic boat tour in a bay with good explanations. I was lucky with the weather and got some shots I really liked. 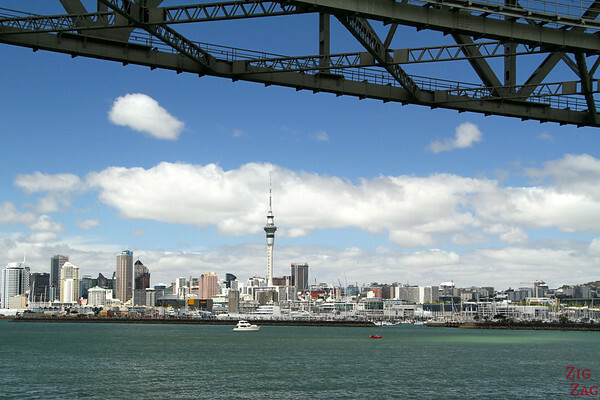 From the boat, you can enjoy many views of the Skyline and city, admire the bridge and discover the harbor which is really close to the city centre! It reminded me of when I photographed the Opera House in Sydney. 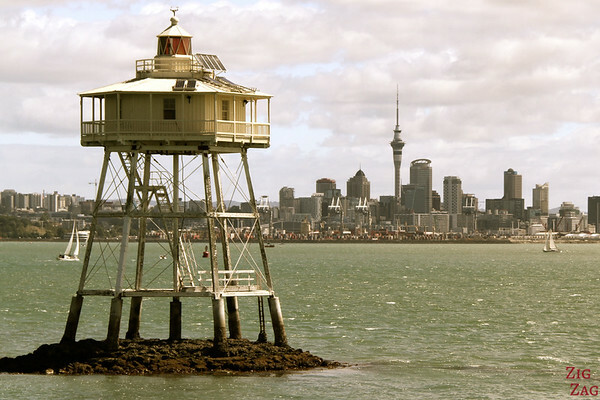 As I said above I did not want to get up the Tower and get views without its main landmark. 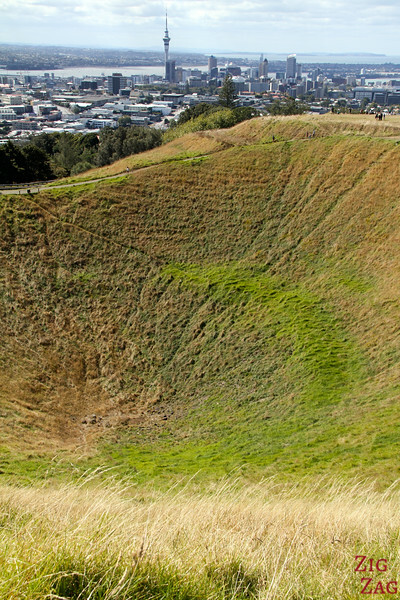 So my second option to photograph Auckland’s skyline was Mount Eden. The Taxi driver took me all the way to the top (5 to 10 min drive from the city centre) and I walk part of the return and then took the bus. What about you, do you like spending time in cities?